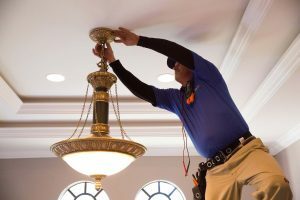 Whenever you find yourself in need of a licensed electrician in Wellington, Florida, our company, Kasper Electrical, will always be right here to assist you. 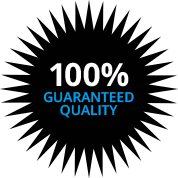 When we say “always,” we have a leg to stand on, because we have been the electrical contractor of choice in this area since 1978. That’s a long time, and this level of longevity says a lot about the customer satisfaction rate that we have been able to establish over the years. We are a family-owned company, and we are currently under second-generation ownership, so we will be here for you for the long haul. People who are fortunate enough to call this Palm Beach County city home enjoy a quality of life that many people can only dream about. The weather is perfect, outdoor recreational activities abound, and it is part of a large metropolitan area, so cultural events, fine dining, and a vibrant nightlife scene are all within easy reach. It has been nationally recognized as one of the best places to live in the United States, and we would certainly concur. Wherever you may be located in town, whether it is in Village Center, the Kimberly Boulevard/Old Everglades Pump Road neighborhood, or the Palomino Drive/Blanchette Trail section, we will be just a phone call away any time you need an electrical contractor in Wellington, Florida. As a comprehensive provider of electrical services, residential electrical work is one of our specialties. We work on new construction projects, and we can also provide electrical repairs and upgrades for existing homeowners. Here in South Florida, people spend a lot of time outdoors, and outdoor lighting can certainly enhance the aesthetic appeal of your property and provide safe pathways for your family members and friends. The proper outdoor lighting can also deter would-be thieves. We have a great deal of expertise with landscape lighting, and any investment that you make in outdoor lighting will be offset by an increase in your property value. Plus, since we are located in a hurricane zone, backup generators can provide a great deal of peace of mind, and we would be more than glad to explain your emergency preparedness options to you. Our offerings also extended to the commercial realm. 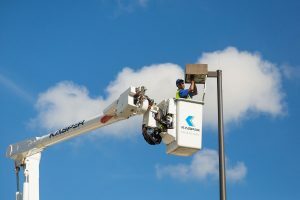 Whenever you require the services of a Wellington, Florida commercial electrician for any reason, we will be standing at the ready to provide individualized attention. If you would like to discuss any type of electrical situation with a knowledgeable Wellington, Florida electrician, give us a call at 561-285-8036.